Whitmer home, Fayette, New York. Photo by Kenneth Mays. 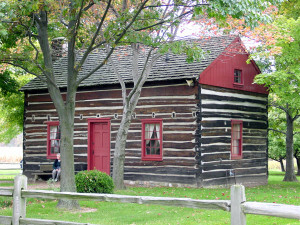 The Peter Whitmer, Sr. Farm Home served as the location for many important events in the early days of The Church of Jesus Christ of Latter-day Saints. 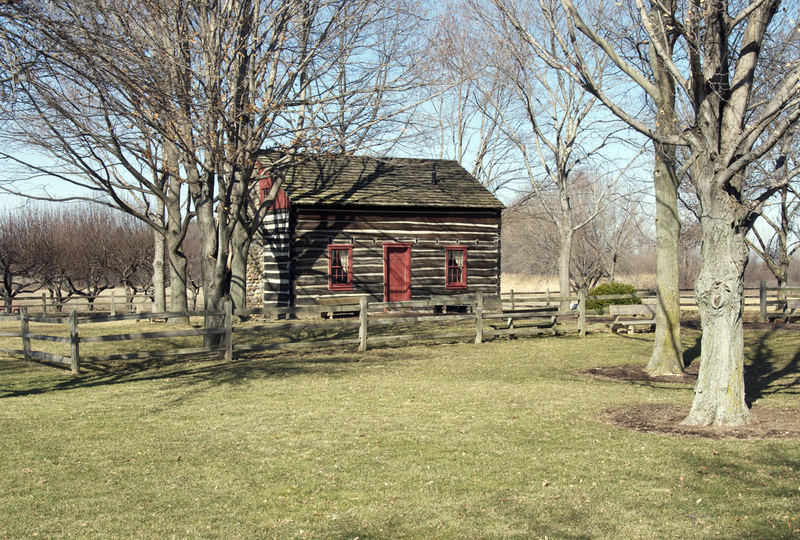 Much of the Book of Mormon was translated here, the Three Witnesses were shown the plates in a wooded area on the Whitmer Farm, and the Whitmer home was the location of the organization of the Church. In late May 1829, David Whitmer received a letter from Joseph Smith requesting him to come to Pennsylvania and bring Joseph and Oliver Cowdery back to Fayette where they could finish the translation of the Book of Mormon. 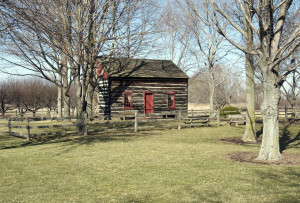 David had a unique experience which helped serve as a witness from God that it was necessary for him to leave his crops and travel to Pennsylvania.1 He arranged for Joseph and Oliver to move to Fayette and board with his father, Peter Whitmer, Sr. until the work of translating the Book of Mormon was complete. Shortly after his arrival in Fayette, Joseph received a revelation in June 1829 that Oliver Cowdery, David Whitmer, and Martin Harris would obtain a view of the plates, the breastplate, the sword of Laban, and the Urim and Thummim.2 The four retired to a forest near the Whitmer home where Moroni appeared to them and showed them the aforementioned items. Much of the Book of Mormon translating took place here. The Three Witnesses were shown the plates by the angel Moroni near here. 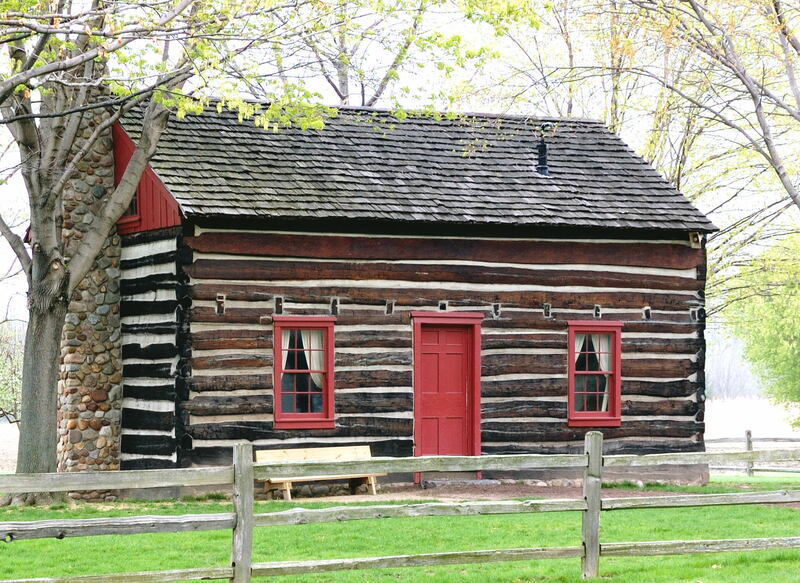 The official organization of The Church of Jesus Christ of Latter-day Saints took place here on April 6, 1830. 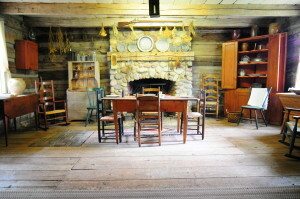 Whitmer home, interior. Photo by Kenneth Mays. “On Tuesday, the sixth day of April, A. D., one thousand eight hundred and thirty. Having opened the meeting by solemn prayer to our Heavenly Father, we proceeded, according to previous commandment, to call on our brethren to know whether they accepted us as their teachers in the things of the Kingdom of God, and whether they were satisfied that we should proceed and be organized as a Church according to said commandment which we had received. To these several propositions they consented by a unanimous vote. I then laid my hands upon Oliver Cowdery, and ordained him an Elder of the ‘Church of Jesus Christ of Latter-day Saints;’ after which, he ordained me also to the office of an Elder of said Church. We then took bread, blessed it, and brake it with them; also wine, blessed it, and drank it with them. We then laid our hands on each individual member of the Church present, that they might receive the gift of the Holy Ghost, and be confirmed members of the Church of Christ. 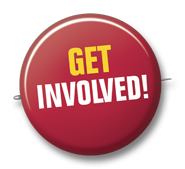 The Holy Ghost was poured out upon us to a very great degree-some prophesied, whilst we all praised the Lord, and rejoiced exceedingly. . . . In 1926, Elder B. H. Roberts purchased 120 acres on behalf of the Church at the location of the Peter Whitmer, Sr. farm.5 The original location of the site was located in 1946-47, and in 1979 a replica was constructed.6 President Spencer W. Kimball dedicated the site on April 6, 1980 in a General Conference broadcast commemorating the sesquicentennial of the organization of the Church. 1 Lucy Mack Smith, History of Joseph Smith, Revised and Enhanced, edited by Scot Facer Proctor and Maurine Jensen Proctor (Salt Lake City: Bookcraft, 1996). 2 See Doctrine & Covenants 17. 3 Joseph Smith, History of The Church of Jesus Christ of Latter-day Saints, 7 vols., introduction and notes by B. H. Roberts (Salt Lake City: The Church of Jesus Christ of Latter-day Saints, 1932-1951), 1: 80. 5 Encyclopedia of Latter-day Saint History, edited by Arnold K. Garr, Donald Q. Cannon, & Richard O. Cowan (Salt Lake City: Deseret Book, 2000), 1339. 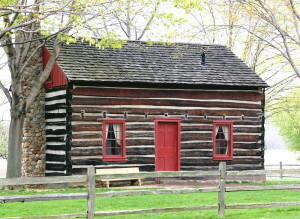 The Whitmer Home is a Church Historic Site owned and operated by The Church of Jesus Christ of Latter-day Saints. Visitors are welcome but must come during posted hours and be escorted by a missionary guide. Tours begin at the visitors’ center adjacent to the log home. There is no charge for admission. Source(s): Joseph Smith, History of The Church of Jesus Christ of Latter-day Saints, 7 vols., introduction and notes by B. H. Roberts (Salt Lake City: The Church of Jesus Christ of Latter-day Saints, 1932-1951), 1: 54-55. Lucy Mack Smith, History of Joseph Smith, Revised and Enhanced, edited by Scot Facer Proctor and Maurine Jensen Proctor (Salt Lake City: Bookcraft, 1996); B. H. Roberts, A Comprehensive History of The Church of Jesus Christ of Latter-day Saints, 6 vols. (Salt Lake City: Deseret News Press, 1930), 1: 142-143. Source(s): Lucy Mack Smith, History of Joseph Smith, Revised and Enhanced, edited by Scot Facer Proctor and Maurine Jensen Proctor (Salt Lake City: Bookcraft, 1996). Source(s): “Remarks and Dedication of the Fayette, New York, Buildings,” Ensign, (May 10, 1980), 54. Richard Loyd Anderson, “The House Where the Church was Organized,” Improvement Era, 1970. Richard Loyd Anderson, “The Whitmers: A Family That Nourished the Church,” Ensign, August 1979, 35. Dale L. Berge, “Archaeology at the Peter Whitmer Farm, Seneca County, New York” BYU Studies, 1973. J. Orvall Ellsworth, “The Birthplace of the Church,” Improvement Era, April 1924. C. E. Grant, “Peter Whitmer’s Log House,” Improvement Era, 1959. E. Cecil McGavin, “The Whitmer Home: A New Addition to the Church’s Collection of Historic Places,” Improvement Era, September 1927. Keith W. Perkins, “True to the Book of Mormon-The Whitmers,” Ensign, February 1989, 34.